Families and friends enjoy time together on the water. 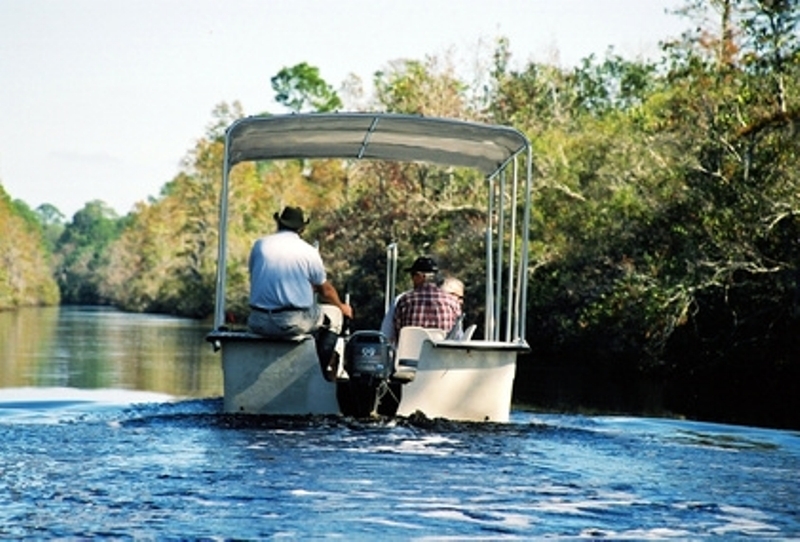 Pontoon boats give these groups this experience with its large design and ample room. Features such as wrap-around seating, carpeted and level floor space for walking around, and smooth ride make it popular for parties and celebrations. Understanding the different parts of a pontoon boat helps both owners and renters for a day to get the most of the experience. Pontoon boats are basically designed like an oil-rig or barge. It is a raft set on top of two cylindrical floats. These floats, usually made of aluminum, keep the raft afloat, level and steady. Their design makes the boat slower in the water, however, than other boats. If you want to get somewhere quick over the water, choose another vessel. Protect the life of your pontoon boat with a boat cover. These should be designed to cover the entire vessel, including the bimini tops. Bimini tops give a shaded area to pontoon boats, and come usually in polyester or vinyl design. Get adequate seating for your pontoon boat. Wrap-around or sectional seating fits around the edges of the boat against the side rails. A captain’s chair rests near the middle of the boat, with a stand that features cup holders and storage compartments. A table for playing games and enjoying meals can be anchored on the boat. A nice stereo adds the the party atmosphere. Enjoy walking barefoot on plush carpet in your pontoon boat. The carpet is rubber treated and marine grade carpet. This protects it from mold and mildew. There are different textured carpets for different uses on pontoons. Get more plush carpets for more relaxed uses of your pontoon. Purchase more durable, non-textured carpet for fishing. Get quality lights and horns for your pontoon boat. Especially if you spend time on the water at night, good visible lighting protects your slower boat from other vessels. Loud horns warn oncoming boats of your location.